Mixed mode research methods offer researchers richer and more accurate data, but there is a risk. 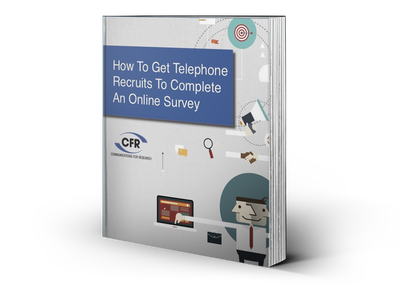 There's an extra step--from phone to online--and you have to rely on the recruit to do it. And whenever you add a step to a process, more people are likely to drop out. In this free ebook, we'll show you the same mixed mode research methods we use every day to improve the conversion rates for our clients. Plus sample script language to make your telephone recruiters more effective and efficient.